| Building a future for craft. Building a future for craft. When reflecting on the current state of the environment, it seems that we have entered into times of seismic sorrows. Carbon emissions, water pollution, fracking, and changing climate patterns all point to a troubling reality with serious consequences for human and non-human populations. 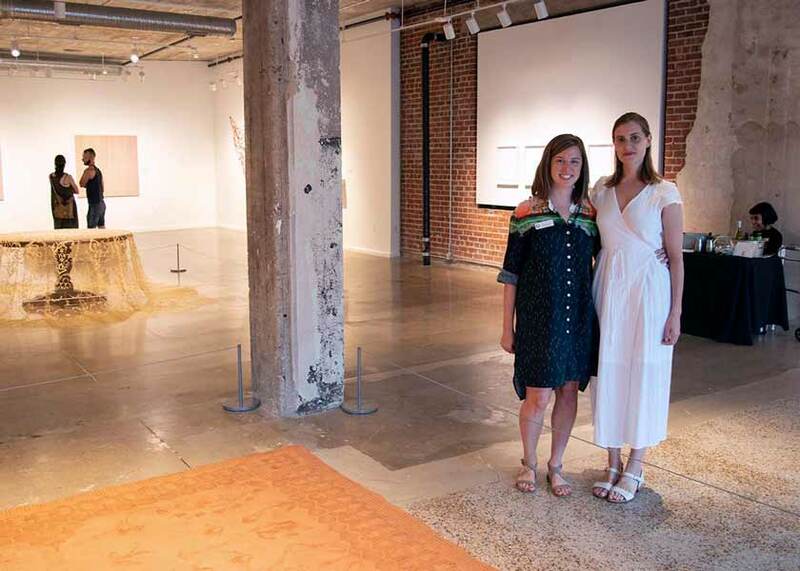 Through weavings, installations, sculpture, and print, artists Rena Detrixhe and Tali Weinberg (Tulsa, OK) explore the complex relationship between humans and the planet, offering insights, expressing grief, and creating space for resilience and change. 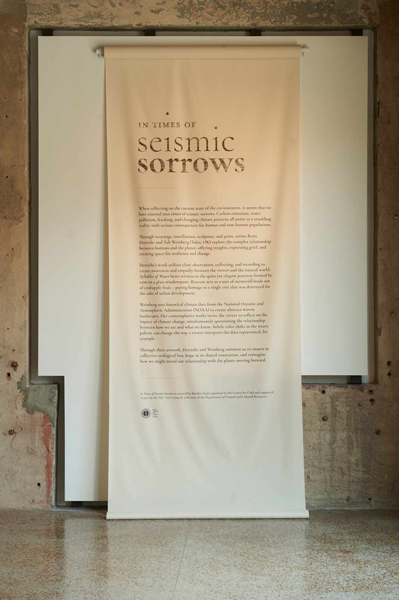 On January 26, 2019, the closing day of In Times of Seismic Sorrows, the Center for Craft hosted a Closing Ceremony with students from Asheville School. As part of Asheville School’s Arts in the Community Initiative, a group of students served as exhibition docents, guiding visitors through the exhibition and sharing details about their favorite works of art. Events concluded with the students and exhibition visitors gathering around "Red Dirt Rug", an installation by artist Rena Detrixhe. Students led guests through prose and poetry readings, and shared their personal reflections from the exhibition. The events for this exhibition have passed. See our full calendar for upcoming events. 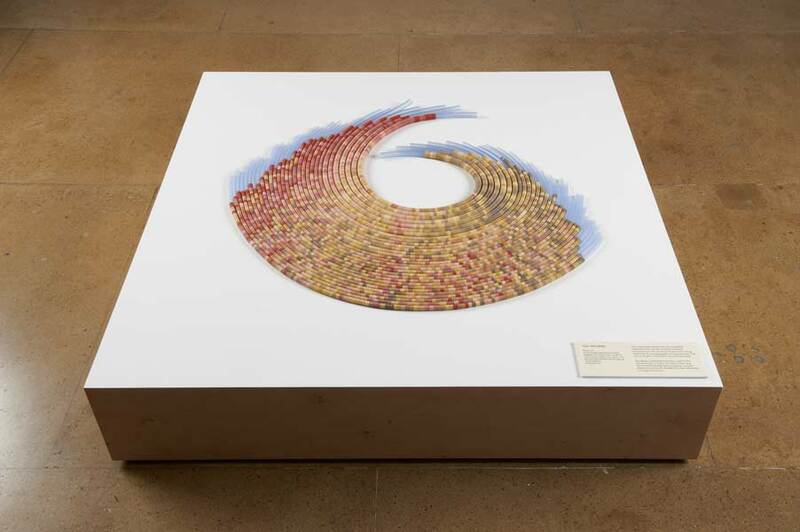 Rena Detrixhe creates contemplative work combining repetitive process and collected or scavenged materials to produce meticulous, large-scale objects and installations. 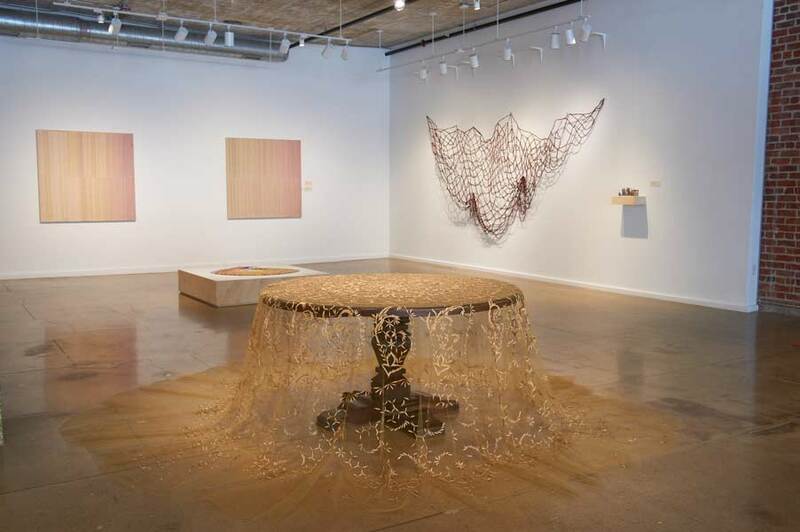 Drawn to materials which possess an inherent story or familiar source and often utilizing natural elements, a continuing objective in her practice is to investigate the relationship between humans and the more-than-human world. Recent work explores systems of value in relation to land and water and slowness as a means of cultivating empathy and understanding. Detrixhe received her BFA from the University of Kansas in 2013. 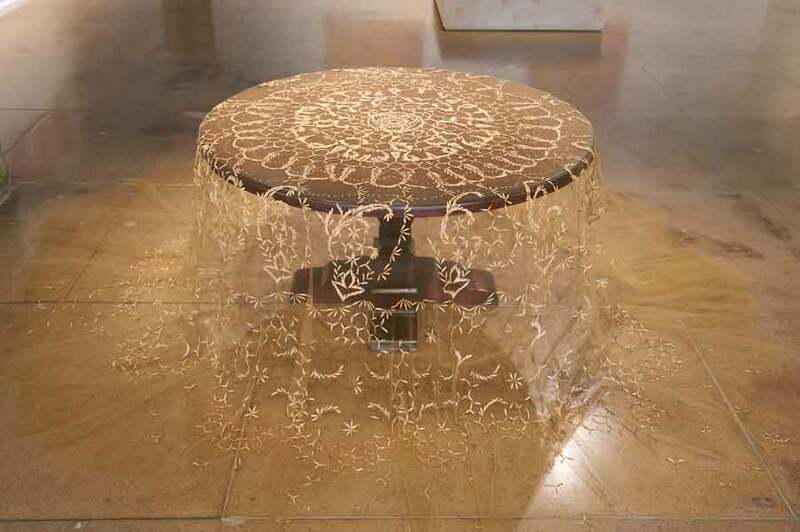 She has exhibited in museums and galleries across the United States and is the recipient of numerous awards including a scholarship to attend the prestigious art school at Hongik University in Seoul, South Korea and a two-year studio residency with Charlotte Street Foundation in Kansas City, Missouri. 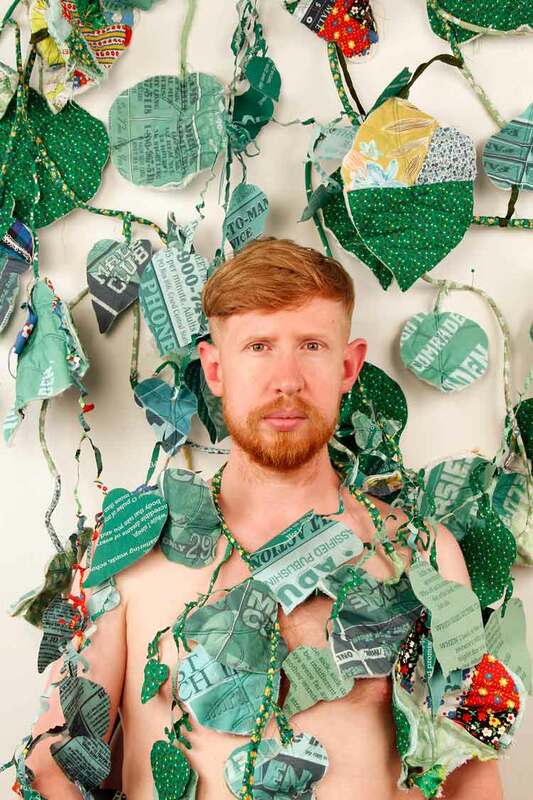 Recent exhibitions include Ephemera at the Nerman Museum of Contemporary Art in Overland Park, KS, and a solo exhibition at the Philbrook Museum in Tulsa, Oklahoma. 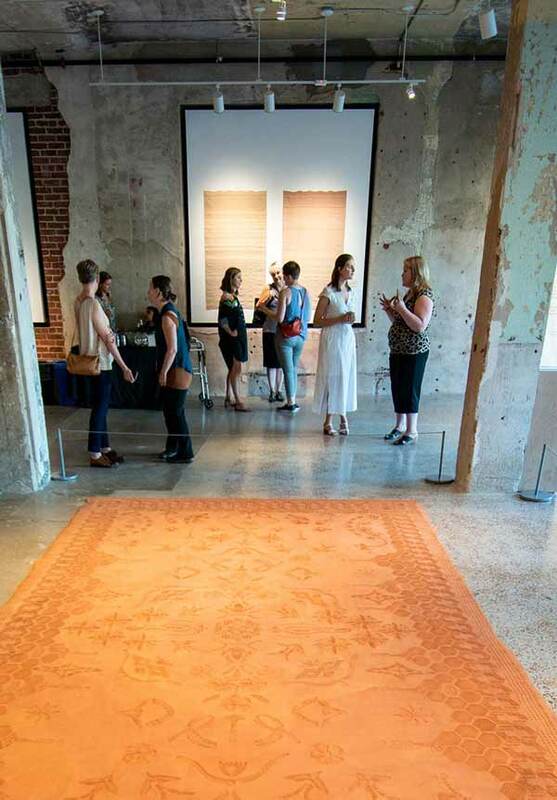 In 2017 she received both the public vote and juried vote awards in the time-based category for her workRed Dirt Rug at ArtPrize Nine in Grand Rapids, Michigan. 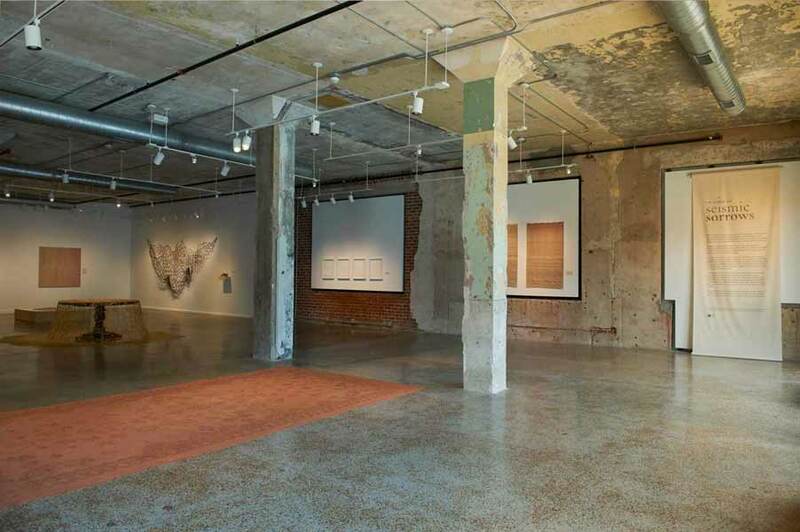 Detrixhe has spent the past two years as a Tulsa Artist Fellow in Tulsa, Oklahoma. 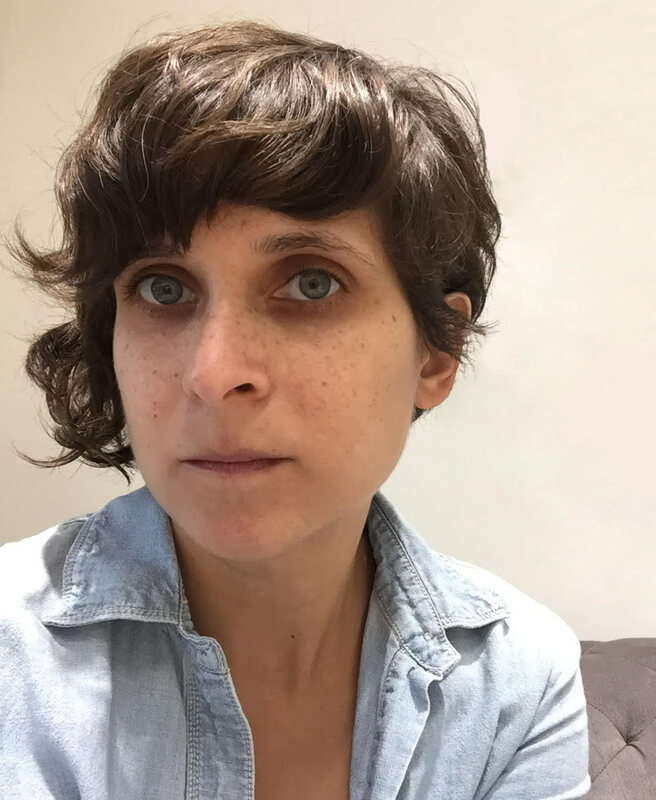 Tali Weinberg’s current research explores the mechanisms through which we come to understand climate change, from data to embodied experience. 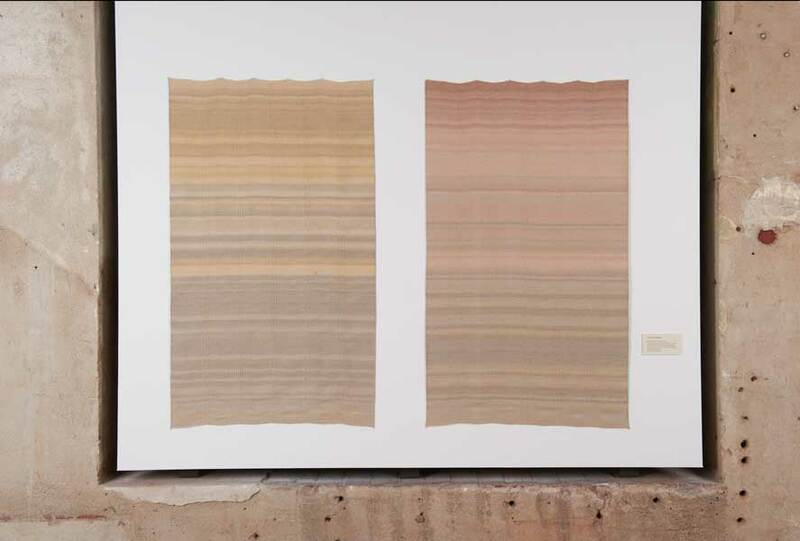 Her abstracted landscapes are comprised of data from the National Oceanic and Atmospheric Administration (NOAA) and materialized with organic fibers dyed with plant and insect-derived dyes and mineral mordants. 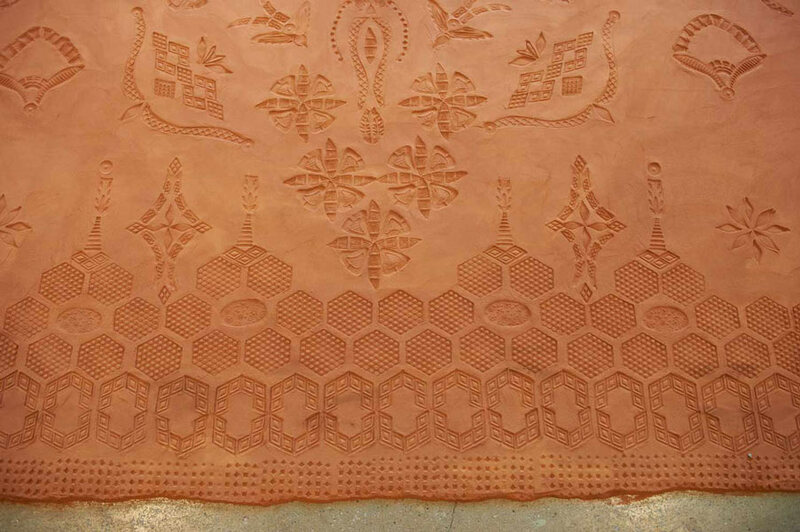 These weavings draw on the intimacy, sociality and science of textiles, to reveal interconnections—between multiple forms of knowledge and between corporeal and ecological bodies. 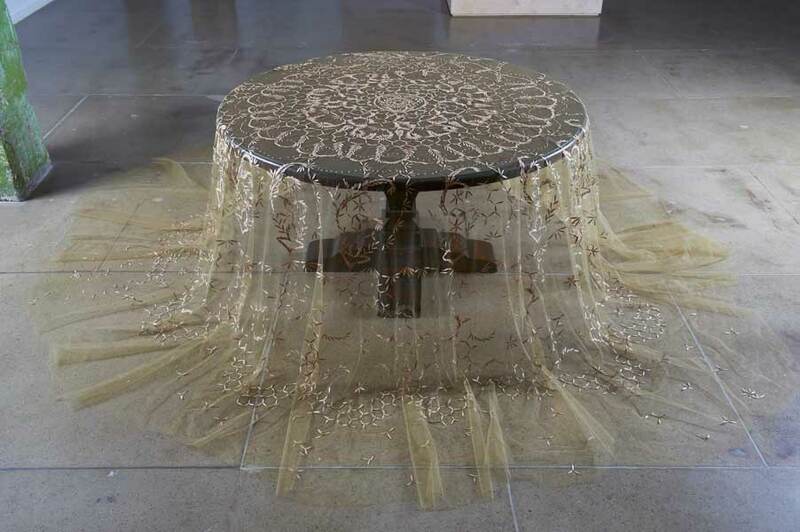 Weinberg’s work is included in the collection of the Berkeley Art Museum (BAMPFA) and is exhibited in galleries and museums across North America, including Philbrook Museum of Art, the San Jose Museum of Quilts & Textiles, the Wattis Institute for Contemporary Art, and was included in the 2016 Hangzhou Triennial of Fiber Art in Zhejiang Province, China. 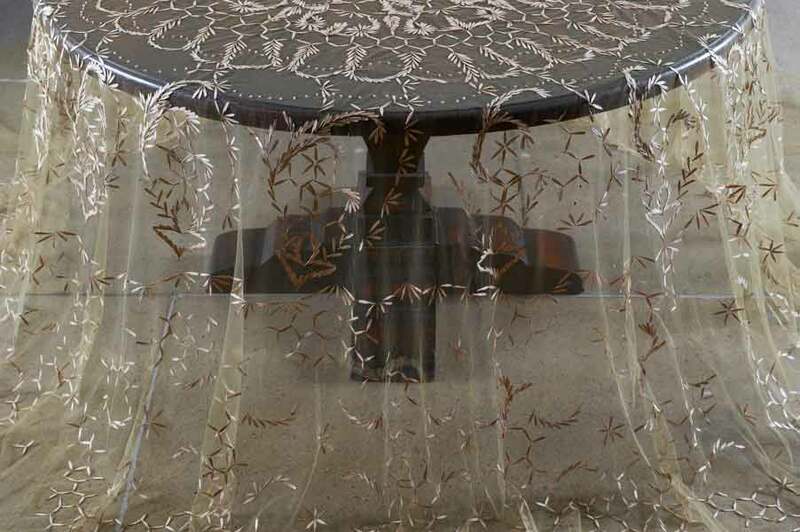 She has taught at California College of the Arts (CCA), Penland School of Craft, the Textile Arts Center in NY, and Headlands Center for the Arts. 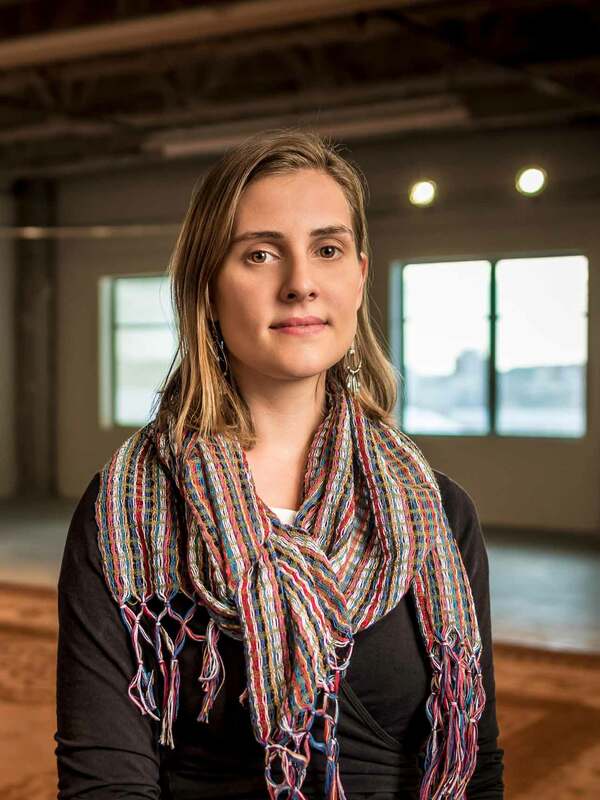 Her research is supported by multiple grants and residencies including a Wingate Foundation-funded residency at Vermont Studio Center, a Collins Foundation-funded residency at Oregon College of Art, Craft, the Lia Cook Jacquard Weaving Residency, and is currently funded by a three-year Tulsa Artist Fellowship. 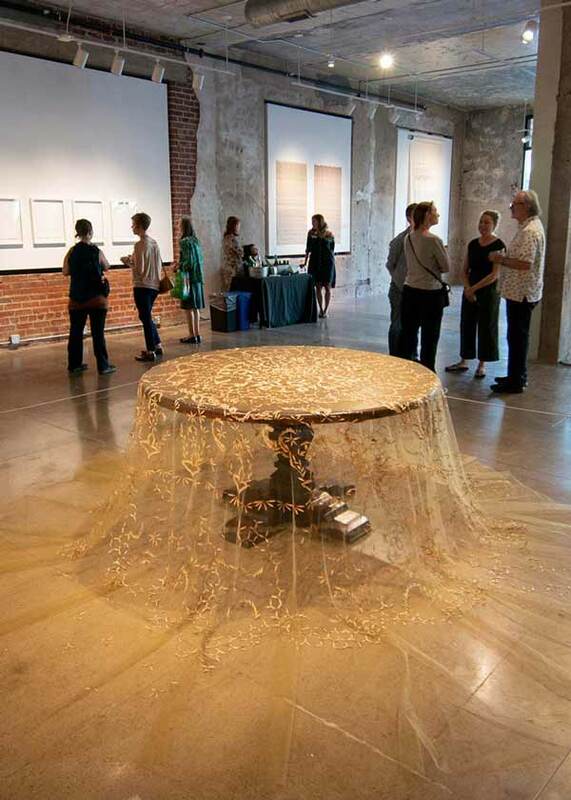 Recent invited lectures include the Keynote for Fiberart International's Triennial Symposium, and a presentation at the California Studies Association’s conference Parched: Dry Times in the Golden State in conversation with community organizers, scientists, and geographers. Weinberg holds an MFA from CCA and an MA and BA from New York University. Since its inception in 1964, the North Carolina Arts Council has imagined and executed an innovative vision for arts development that touches every corner of our state — all 100 counties — from the mountains to the coast. 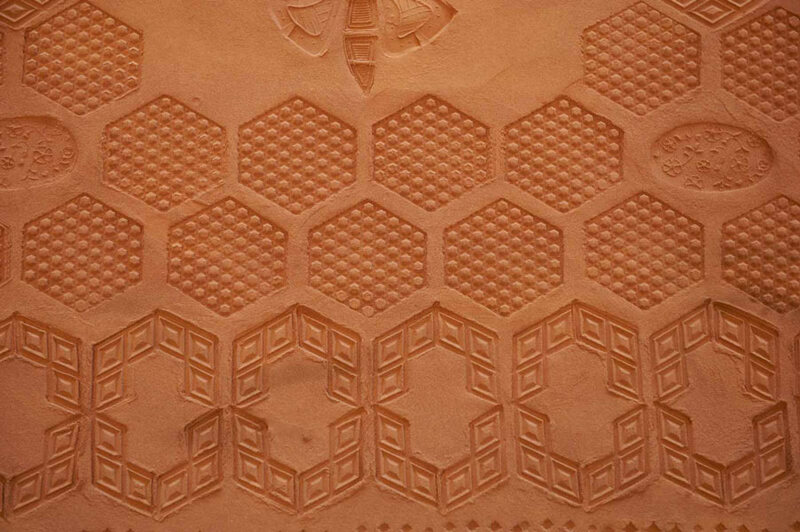 We are building a future for craft. 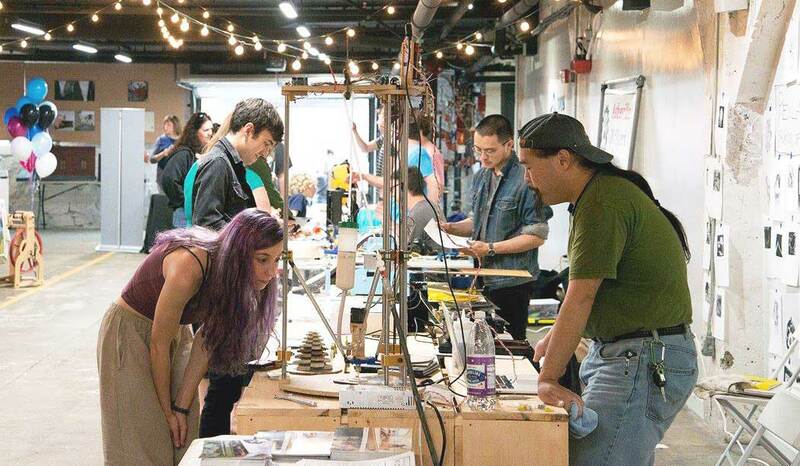 We serve makers, museums, academics, and the local community by investing in creative placekeeping and field building. 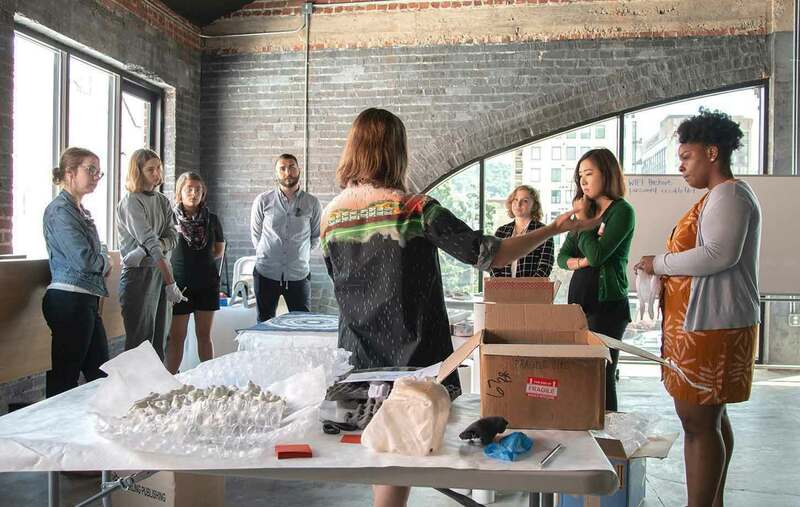 In order to increase the value and relevance of craft to society, the Center works to advance the understanding of craft in higher education, museums and cultural institutions, and across disciplines. Field building strategies include convening thought leaders, creating, documenting and disseminating research, and launching innovative leadership initiatives. 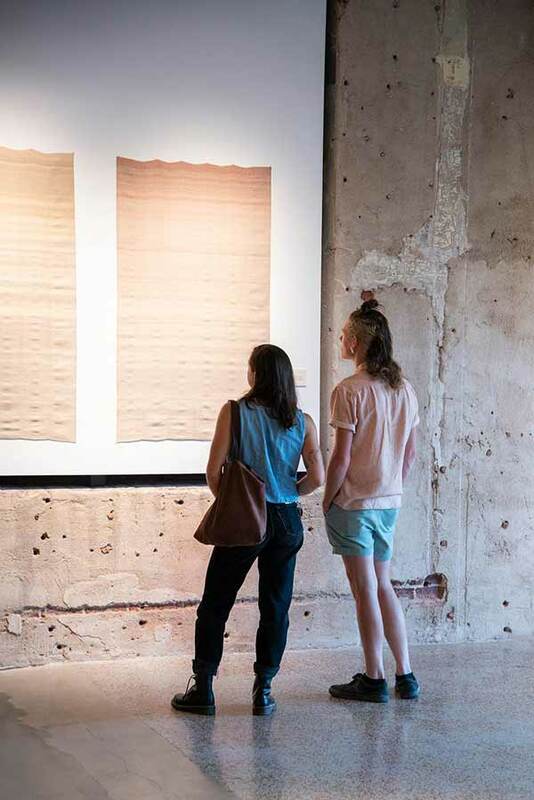 We provide grants and fellowships to emerging and established craft artists, curators, and scholars in order to build a future for the field of craft. 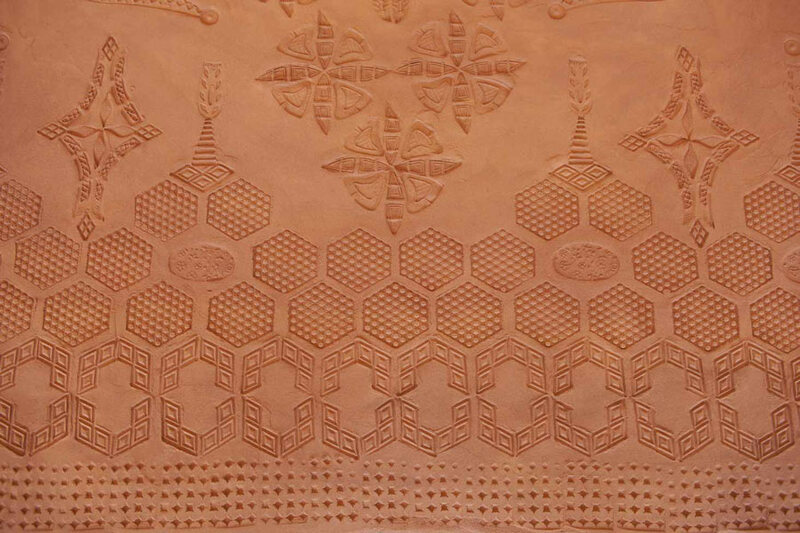 Recognizing that Asheville and the surrounding area has been a bastion for craft in the United States dating back to the Cherokee, the Center is actively working to preserve and advance the craft legacy of Western North Carolina through the development of our property in downtown Asheville, North Carolina and through a series of exhibitions and community-focused initiatives. Get closer to the Center! Sign up for our newsletter. We would love to stay in touch with you. We’ll keep your info safe. The Center for Craft is expanding, adding an additional 7,000 ft² of program space within our historic 1912 building in downtown Asheville! During this time our building will be closed — reopening Fall 2019. Our Grants and Fellowships programs will continue to operate on a normal schedule.